Harold Town was born in Toronto, Ontario in 1924. Town trained at the Ontario College of Art and after college he worked as a commercial artist and illustrator before working full time as a fine artist. 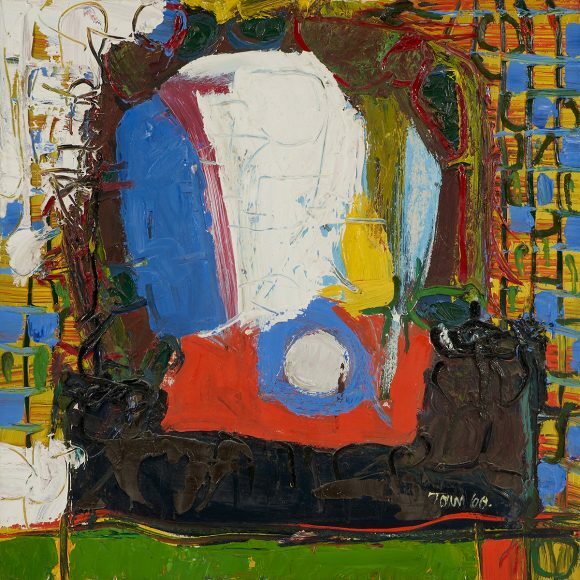 In 1953, at the age of 29, Town joined a group of Canadian avant-garde artists that became known as the Painters Eleven. Town coined the name of the group, which represented the eleven artists at their first group meeting. It was also a response to the Group of Seven, the famous group of Canadian landscape painters, which included Lawren Harris and A.Y. Jackson. 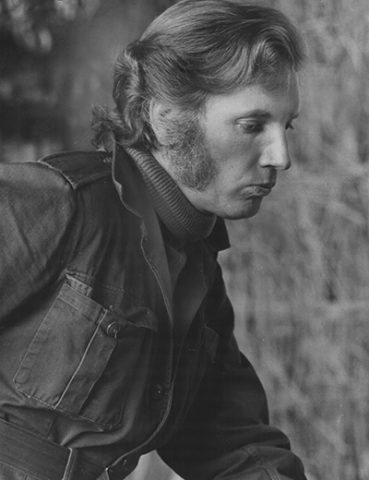 Town had his first solo exhibition only one year after joining the Painters Eleven. In 1956, he was chosen to represent Canada at the Venice Biennale. Town was an accomplished artist in a variety of media, including paintings, prints, drawings, and collage. He was a pioneer of Canadian abstract painting and is today viewed as one of the most important Canadian artists of the 20th century. His work is in museum collections around the world, including the Solomon R. Guggenheim Museum (New York) and the Museum of Modern Art (New York). Town died in Ontario in 1990.